As we look forward to the start of summer and prime travel season, we’re excited to unveil the 100 Best Al Fresco Dining Restaurants in America 2017. These awards reflect the combined opinions of more than 10 million restaurant reviews submitted by verified OpenTable diners for more than 25,000 restaurants in all 50 states and the District of Columbia. 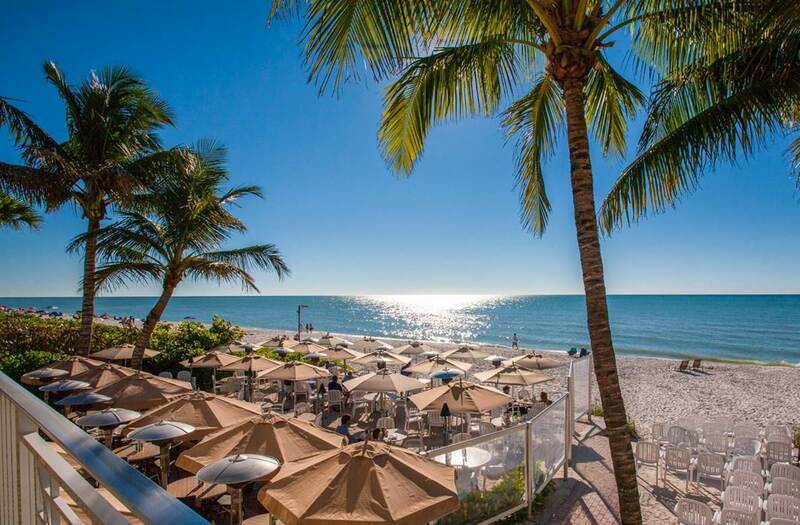 Showcasing winners in major metropolitan areas as well as resort towns, the complete list features restaurants in 17 states and includes Miro’s Restaurant in Palm Springs, The Turtle Club in Naples (pictured), and El Chorro in Phoenix. California boasts 29 winning restaurants, followed by Florida with 28, and Arizona with 22. Hawaii has four standout restaurants, while South Carolina has three, and Nevada and Virginia have two. Arkansas, Colorado, Georgia, Illinois, Indiana, Louisiana, Minnesota, Missouri, North Carolina, New Mexico, and Washington, D.C. are also represented. While many of the winning restaurants serve American fare, other cuisines proved popular, particularly Italian, Mediterranean, and seafood. The 100 Best Al Fresco Dining Restaurants in America list is generated solely from more than 10 million verified OpenTable diner reviews collected between May 1, 2016, and April 30, 2017. All restaurants with a minimum “overall” score and number of qualifying reviews were included for consideration. Qualifying restaurants were then scored and sorted according to the percentage of reviews for which “great for outdoor dining” was selected as a special feature. How many of the 100 Best Al Fresco Dining Restaurants in America 2017 have you snagged a seat at? Tell us here or on Facebook, G+, Instagram, Pinterest, or Twitter using the hashtag #OpenTable100. And, remember to snap + share your #dishpics with us on Instagram for a chance to win in our weekly giveaway. How could you possibly not include Mama’s Fish House on Maui??? My favorite is an ocean side restaurant, The Barefoot Bar at the Hula Grill in Kaanapali, Hi. There is nothing like sipping a tropical drink, listening to Hawaiian music with the trades blowing in from the beautiful Pacific Ocean at sunset. There’s a north coast, too! “Chez Francois” in Vermilion, OH. Food is absolutely outstanding. Dinner on the deck is a must during the summer! Or, a great seafood shack – Star Fish Company in Cortez, FL! Webster’s Food & Drink in Greenwood, MS has great patio dining. I have visited and ate in all the restaurants in the Phoenix and Scottsdale Area .. Time to put some in Chandler- Ocotillo Area growing like crazy. You missed so many great spots! Sharing might make them too busy to be worthy. You forgot Caddy’s in Treasure Island, FL. Some great places. We have some fantastic choices here in NY, especially on Long Island! I second Mama’s Fish House, the most amazing experience … sit in one of the windowless windows and watch the sea as you dine … and the Hula Grill at Kaanapali Beach, where you sit with your bare feet actually IN the sand, watching palm trees sway and surf crash by the light of tiki torches … also, in Sacramento, the Tower Cafe is way cooler than Paragary’s IMHO.